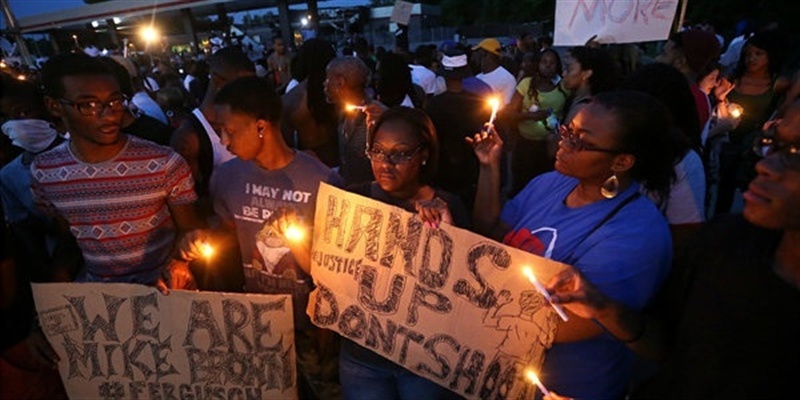 What can come from the Michael Brown shooting? This morning I heard a story on NPR that got me thinking. 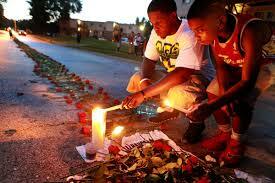 A resident of Ferguson, Mo., said that she hoped change would come about because of Michael Brown’s death. First, let me be clear, I agree with her wholeheartedly. Change is needed, for sure. But I wonder how his family might feel hearing that comment. Is the death of a young man the price we pay for change? If so, I have to ask: “Why him? Why this one?” As a mother, I can’t see any good that would come from the death of my child. That cost is much too dear. Oh, I’m hopeful that as a nation we will take a much closer look at this issue. But are we short-changing the grief we need to experience by so quickly trying to find something positive to take away his death? In my book there’s nothing good to be found in the death of a child of God. It is a tragedy – and his family, his community and our country needs time to mourn the loss. This morning I do want to say, speaking for myself and I believe for the cathedral, that given this nation’s history of racial injustice, the issues and concerns in Ferguson really ought to be at the top of our prayer list and action agenda as a faith community. We here at the cathedral are quick to point people to the Canterbury pulpit and remind them that Martin Luther King, Jr., gave his final Sunday sermon here. We’re quick to appeal to Dr. King’s legacy and to claim a piece of it for ourselves. If we’re really serious about claiming that legacy, it seems to me, we will not only pray for peace in Ferguson, but we’ll also pray for justice. And so, as we go forward as a nation, I add my voice to the many faith leaders who are saying, ‘Yes, we appeal for peace, we appeal for calm, we appeal for healing in Ferguson, but we also appeal for answers’—so that the killing of Michael Brown and its aftermath will not be just forgotten in the next sweep of events, but will call us all into facing continually into God’s invitation to us to break down human boundaries and to ensure that all people find life safe, meaningful and abundant. Let’s not let time pass without addressing our response to racism in our country. Let us speak out with a united, clear voice so these terrible tragedies do not continue. And, let us mourn with the family and community of Michael Brown praying that our God of all comfort will hold them close during this time.